i thought i better start new thread here instead hijacking someone's, i have uploaded all the code on http://www.pihome.eu i can answer any question you have here. 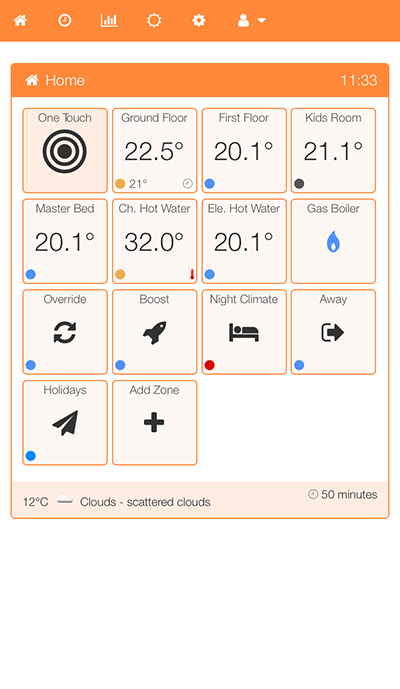 its open source raspberry pi based smart heating control. Thank you to all MySensorss Community other wise this project wasn't easy to make it wireless. How much "smart" is it? I mean did you put some specific features in it? If you mean this learns your behaviour how you use heating then no, but if you are looking to control your heating then truck load of features. ie. 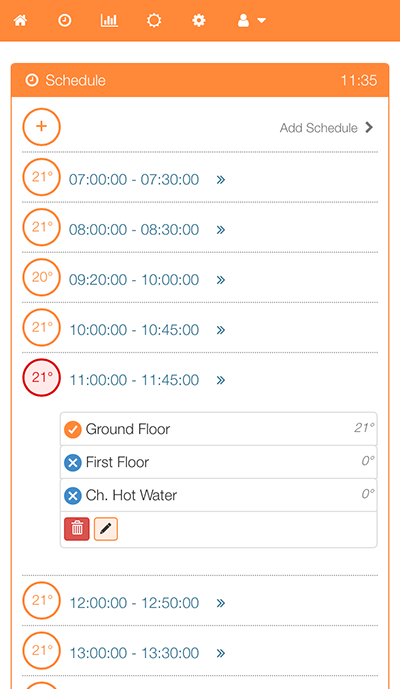 schedules based on time and desired temperature whichever comes first to turn off boiler, boost based on 30 minuts and maximum temperature on zone which ever comes first to turn off boiler. your boiler usage graph... i m not saying this is perfect but i have this running over two years and my gas bill went down from avg. 150€/month to 70€/month. 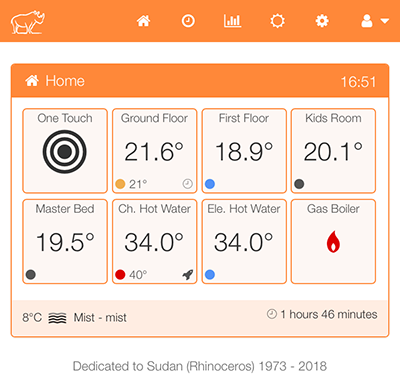 I was wondering since I am very a happy owner of a Netatmo thermostat and it does a pretty good job in keeping constant temperature (PID) and adjusting the boiler timer according to internal/external temperature (you just set what temperature you want at a specific time and it works out when to turn on the boiler). 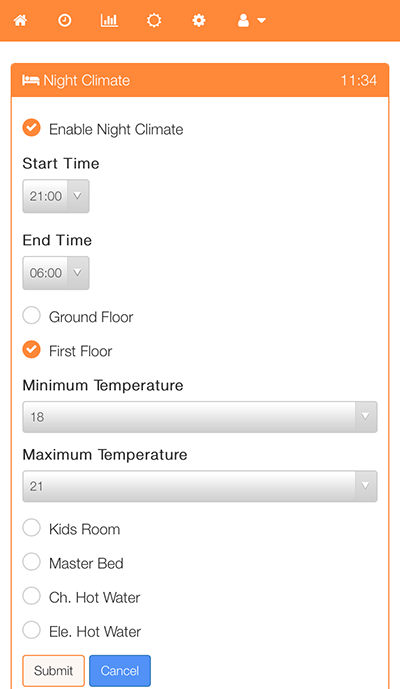 PiHome have that feature as well where you can specify temperature and leave it at that and then it keeps temperature at that level or you can add schedule for any zone. My Usage graph for last one year. and boiler time it saved me. 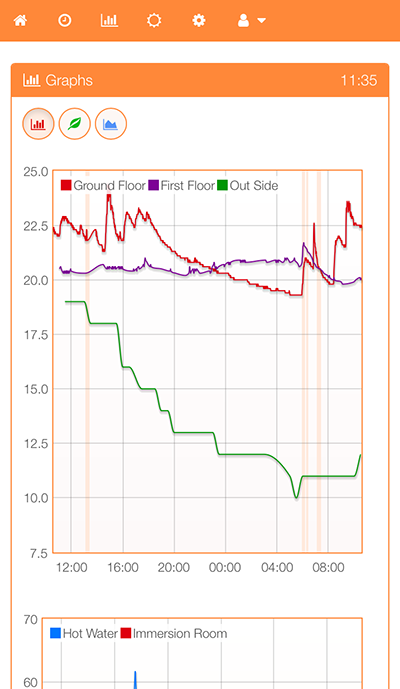 Past 24 hours temperature graph with boiler status in vertical lines in background. 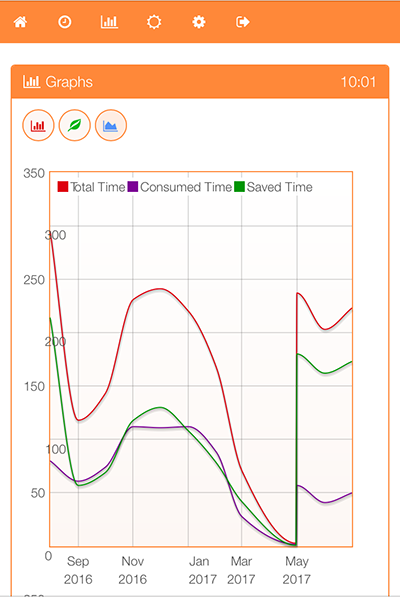 Ps: thanks to mysensors and all its contributors to shearing their work. Interesting, thanks! Looks really polished! @alowhum love the safety "is there a gas leak" i m thinking to implement this as well but haven't came to agreement between 220v powered vs battery powered sensors, on same note my home heating is scheduled for ground floor and DHW but i want to have some exhaust fan to run for 10 to 15 minuts to re-fresh air on ground floor again its on my to do list. i have implemented zone max temperature, boiler max temperature and boiler hysteresis time (time between off and on again) but haven't implemented zone max run time or zone hysteresis time. some time adding extra feature/options to heating control may not suite everyone and it requires lots and lots of testing and time. Ps: i think all these commercially available options are way behind on options for domestic heating needs.